Stan-Cor Series pumps provide exclusive design advantages over all other centrifugal pumps. For applications requiring durability and performance on dirty, difficult fluids, Stan-Cor pumps are by far the most cost-effective solution. For applications requiring durability and performance on dirty, difficult fluids, Stan-Cor pumps are the most cost-effective solution. Solid Kynar designed for handling abrasive, dirty process fluids. Stan-Cor non-metallic ANSI centrifigal pumps are specifically designed to handle abrasive, dirty process fluids. 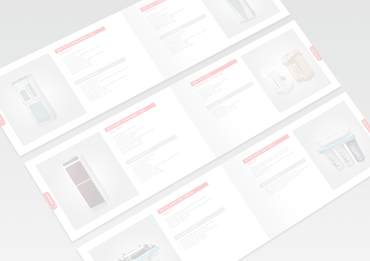 Get a copy of the latest Stan-Cor Pumps Catalog. How do Stan-Cor Centrifugal Pumps Work? Unlike volute-type centrifugal pumps, the Stan-Cor pump uses a unique concentric design that provides a constant, equal distance between the pump casing and the impeller at all times during pump operation. This greatly reduces turbulence and vibration, thereby extending the life of the mechanical seal and bearings. In a conventional volute casing pump, water turbulence and eddies are created as the impeller passes the restrictive cut water area in the casing. These hydraulic imbalances in turn cause the drive shaft to deflect, which increases the loading on the bearings, and leads to premature mechanical seal failure. At near shut-off, the bearing loading is extremely high. The Stan-Cor concentric casing design eliminates these excessive hydraulic imbalances. It allows the pump to run anywhere between a few gallons per minute and full ow without undue shaft deflection. Moreover, the design allows the Stan-Cor pump to handle abrasives much better than standard models. The sharp, restrictive cut water area of most pumps is the focal point for corrosion and erosion. It is the place where abrasives first attack a pump. With lined pumps, the thin liner is easily abraded away and the metallic backing exposed to the corrosive and abrasive forces of the product being pumped. The Stan-Cor concentric casing design, coupled with its solid homogenous non-metallic component, eliminates this problem area. of designing, assembling, testing and constantly improving Stan-Cor pumps, we are confident that we are producing great products in a timely, cost-efficient manner. In our high volume, state-of-the-art 60,000 sq.ft. manufacturing facility. Precise, quality manufacturing. Stringent quality control systems for component-to-component and unit-to-unit quality and consistency. 100% Tested: 15 min. to 2 hour run cycle on every pump. We test every unit before shipping for full flow at rated pressure, temperature, noise, vibration, etc. On-going cooperative product development with our customers ranging from simple product modifications to completely customized pumping systems. Let us help you determine the best pump solution for your application.